5 out of 5 – Jane Dougherty, Amazon.com. “This is a wonderful book, a massive canvas of purple and blood red skies, oceans of liquid metal, decomposing cities full of fear and squalor inside the body of God (yup, that’s right), nightmarish beings, and exquisite beauty.” … Read the whole review here. 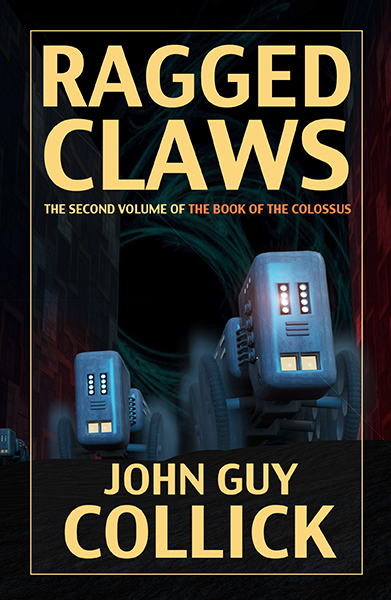 Ragged Claws, second volume in The Book of the Colossus, is available on Amazon as an eBook and a paperback, and on Apple, Kobo and Barnes and Noble. Ragged Claws, like its predecessor Thumb, is set at the very end of the universe, when all the stars and planets have dissolved into quantum ash. The last remnants of humanity live on an immense, flat singularity created for them by the alien race known as the Black Roses. 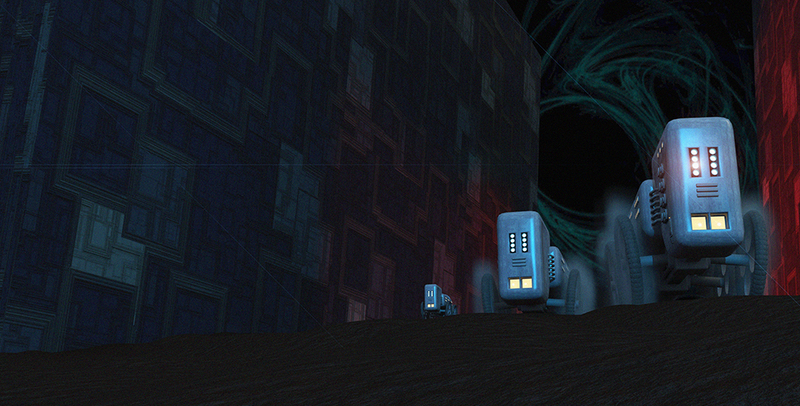 Covered in the remnants of ground-up worlds this wilderness has become a workbench on which mankind is building a god. The titan, half a million-miles long from head to toe, will come to life and carry humanity to a new universe. Because there is nothing left at the end of time the materials to build the colossus are plundered from the past via wormholes punched through the singularity. These swiftly-fading portals also provide the last people with the clothes, food and artifacts they need to survive and so the realms of Ragged Claws are a patchwork of tatterdemalion kingdoms in which diesel-powered flyers fight battles inside the caverns of God’s body with guns and missiles, and men and machines are fused together into monstrous hybrids using science so rarefied it has become arcane magic. The Great Task has taken a million years and is reaching completion, but over the long aeons most people have forgotten its purpose and turned on each other, building empires and kingdoms that plot, go to war, conquer, rise and fall. Max Ocel and Abby Fabrice are making their way through the shadowed interstices of the titan’s body in search of the Machine Men. Max carries him with a terrible secret that will condemn all of mankind to destruction and he finds himself in a race against time, pursued by enemies human and inhuman, and betrayed by those closest to him. If you want to find out more about the universe of The Book of the Colossus, and the first book in the series, Thumb, check out this interview on Underground Book Reviews. For those of you who have not read Thumb, the eBook version is now available at the discounted price of 77p/$1.28.